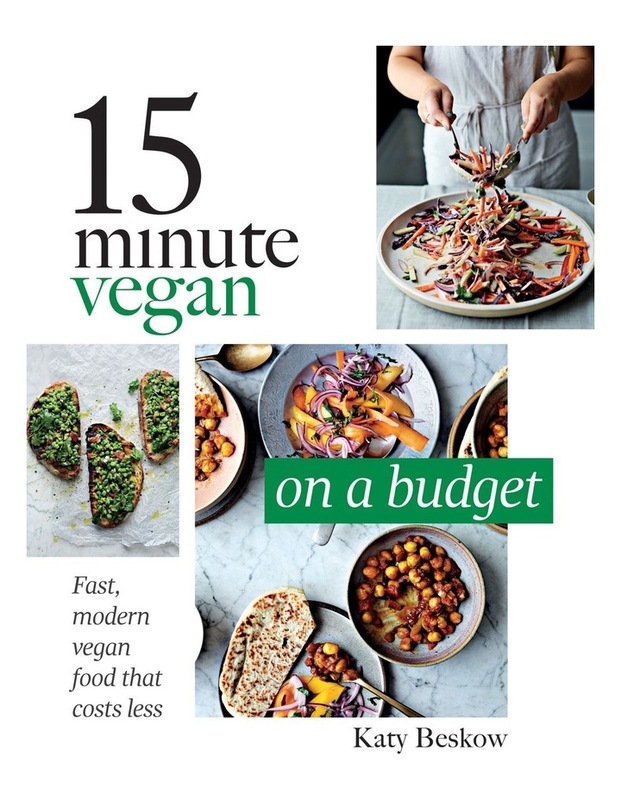 15 Minute Vegan: On a Budget features 100 recipes for home cooks who want to create effortless, fast and delicious vegan food, without the price tag often associated with vegan cooking. All of the ingredients can be purchased in supermarkets and every recipe is ready in 15 minutes or less. Katy Beskow challenges the perception that vegan cooking is expensive, and shows that veganism is for all by using ingredients that are readily available and need no specialist equipment. This is a book for both non-vegans and vegans who want to try reduce food costs without sacrificing flavour. Chapters include: Leftovers (Potato peel crisps, Panzanella, Pitta chips); From the Cupboard (Spanish chickpea stew, Thai slaw, Black bean mole); Fresh food (Aubergine caponata, Mango gazpacho, Korean bibimbap); Family Favourites (Lentil ragu, Kedgeree with paprika yoghurt); and Sweet Treats (Cinnamon sugar tortillas, Sesame brittle thins, Apple fritters). There is also plenty of advice on eating seasonally and shopping wisely.